On this day in 1985, the very first WWF (now WWE) WrestleMania took place at Madison Square Garden in New York; there were an estimated 19,121 fans in attendance. Over a million people watched WrestleMania 1 on TV, making it the largest event on closed-circuit television in the U.S. at the time. 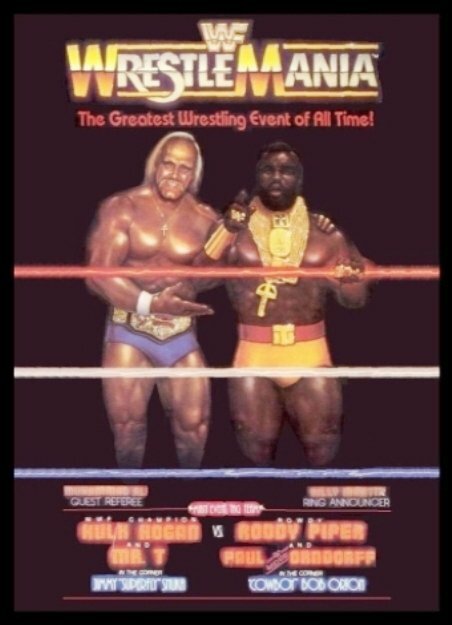 There were a total of nine matches that inaugural year, with the main event pitting Hulk Hogan and Mr. T with “Superfly” Jimmy Snuka against “Mr. Wonderful” Paul Orndorff and “Rowdy” Roddy Piper with Cowboy Bob Orton. 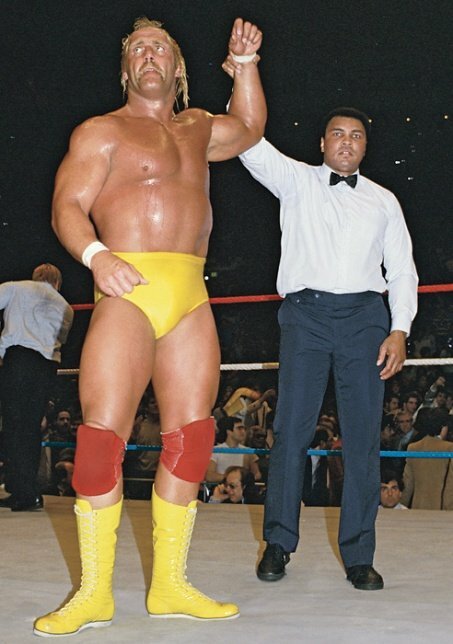 After interference from “Cowboy” Bob Orton, Hulk Hogan won the match. Celebrities involved with the WrestleMania 1 Main Event included Muhammad Ali, Billy Martin, Liberace, and The Rockettes. 50 queries in 0.645 seconds.